Welcome to my website!!! I’m so glad you’re visiting and I would love to work with you to create wonderful adventures in storytelling. I have been a professional storyteller and teaching artist for over 30 years, performing for adult and family audiences. Informed by my theatre and improv background, I tell stories with an open heart and intention. I share stories from many sources– Jewish folktales as well as tales from many cultures and my personal narratives weave throughout the programs. 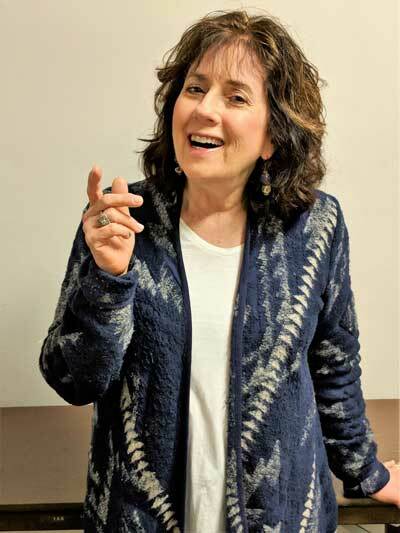 Having taught improv, acting, story theatre, and having served on the adjunct faculty of National-Louis University, I have lots of experience making my programs and workshops fit the participants, and bring stories to life. Please shoot me an email or call.